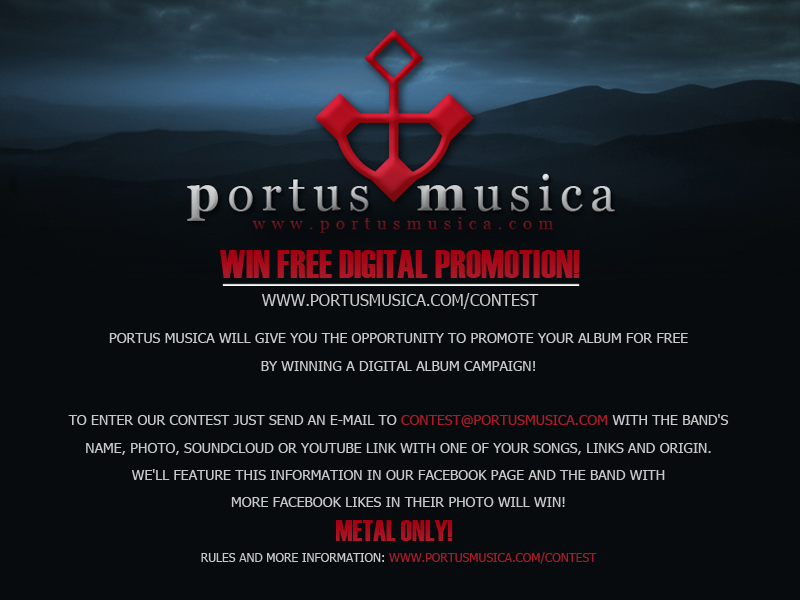 Portus Musica is giving unsigned Metal bands and artists the opportunity to win a free digital campaign to promote one album. To enter the contest, you just need to send an e-mail to contest@portusmusica.com with your band's name, photo, link with one song (from YouTube or Soundcloud), links and the band's origin. This information will be featured in Portus Musica's Facebook and the band with more Facebook "likes" in their photo will win! All participants will also get a 20% discount in all promotion services! Check http://www.portusmusica.com/contest for more information / rules. This contest ends on April 30th, 2013.